Next week, TVs and monitors around the world will be occupied with images of brutal and spectacular killings disguised with a charmingly and patriotic historical motif. On October 30, the third Assassin’s Creed will be released and fans of the series will once again step into the role of an assassin fighting an ancient war against the secret society of Templars, negotiating the future of civilization through the pointy end of a hidden blade. The game was once again developed by Ubisoft Montreal, and the series has become one of the biggest franchises in the world. The hype around it is such that even bad reviews (of which we earnestly hope there will be few to none), won’t stop this juggernaut from smashing its way to massive sales. The series has managed to offer up annual releases over the last three years, and has only missed one year, 2008, since the original game debuted in 2007. But even while Assassin’s Creed games hit store shelves last year and the year before, developers were quietly working on the next chapter of the franchise, with a new setting, a new engine, and a new protagonist. It was a massive undertaking to release annual iterations while simultaneously working on something that would essentially reboot the series and yet still keep the continuity correct while expanding on it. That took intense planning of the narrative. Plot points needed to be laid out years in advance, and the cost of developing games in a spoiler happy world meant that only a relatively small number of people could be involved. One of those people was Corey May, lead writer for Assassin’s Creed III. 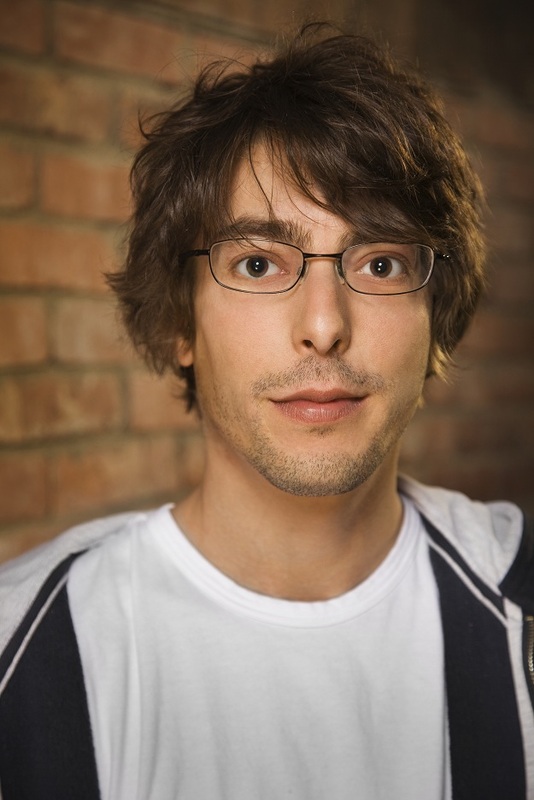 May has been one of the staples of the Assassin’s Creed franchise, and has been a writer on every major Assassin’s Creed game (with the exception of last year’s Revelations, which he was still involved with, just to a lesser degree). For at least eight years, May has been immersed in the world of the assassins, and was there when the first outline of the world that we have come to know — and will be learning more of for years — was first created. 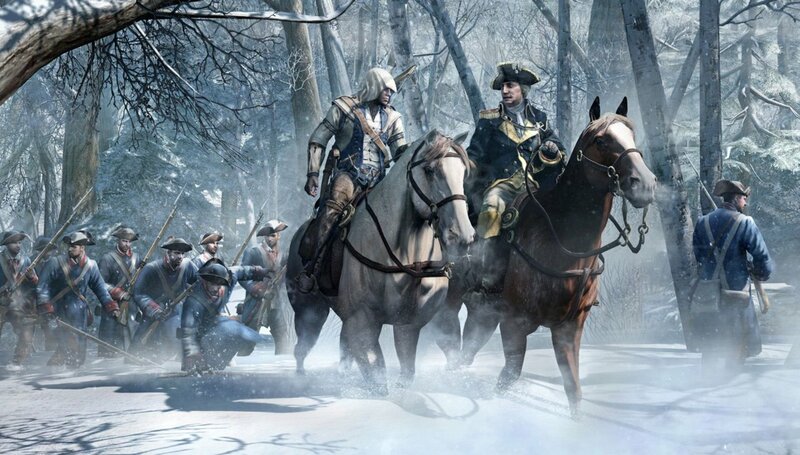 The setting of the Assassin’s Creed III is the familiar era of Revolutionary America, of course. A glance at any of the several commercials in seemingly constant rotation online and on TV will confirm that. But while most people can probably describe a rough sense of what happened the day the Declaration of Independence was signed, and names like Bunker Hill are inexorably connected to American history, many of the details of the period remain obscured by the fog of time. Bills like the Townshend and Sugar Acts, as well as documents like the Declaration of Rights and Grievances may ring a few bells to those historically minded, but to many they are just feint echoes of civics classes from years past. Thankfully, that period of history is fairly well documented. The details will always be somewhat subjective, but there are more than enough records to paint a relatively accurate picture of what life during those days was like. Maps can be used to recreate the original look of the towns, paperwork kept businesses functioning, and many of the most influential people of the day lived lives of renown that were chronicled in books we can study today. 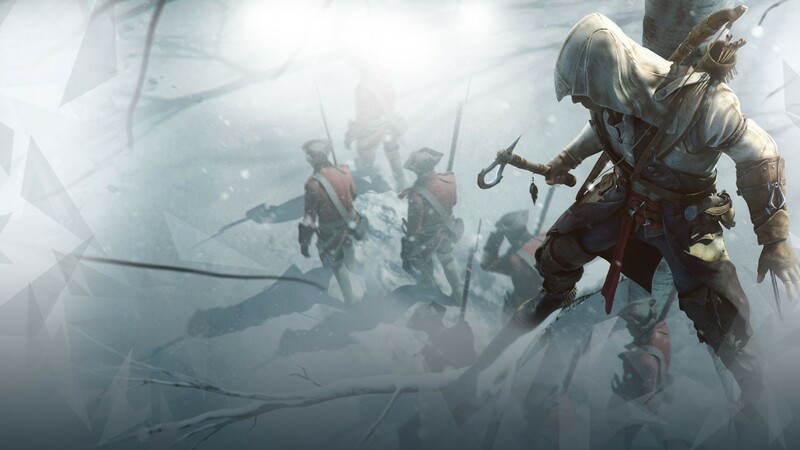 To that canvas, May introduced the story we will soon be playing, featuring the half- English, half-Mohawk protagonist Ratonhnhaké:ton, or Connor Kenway as he will be more commonly known. May, along with fellow writer Matt Turner and the Ubisoft Montreal team, created Connor as an avatar for us to interact with the historical figures in fictionalized, but a still somewhat faithful recounting of events of that time. Connor will participate in a storyline unique to him, while building upon the lore that began in Assassin’s Creed‘s Holy Land setting of 1191, with a Syrian Assassin named Altaïr ibn-La’Ahad, and continued thanks to Altaïr‘s descendants including the Renaissance assassin Ezio Auditore, Connor, and the modern assassin Desmond. 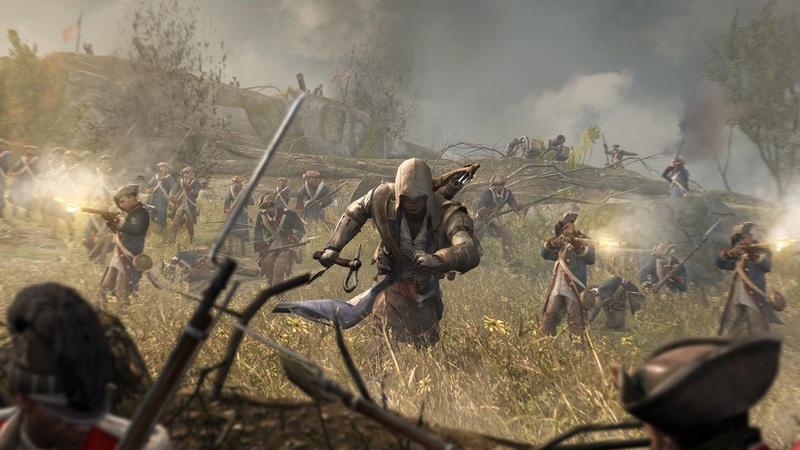 To breathe an air of authenticity into that world, May and the Ubisoft team spent a great deal of time researching the setting and what life in those days was like. The team even went as far as to speak with linguistic experts about regional dialects of the period, and the cities of New York and Boston have both been painstakingly recreated to their 18th century foundations. Joining May was a team of people that would go beyond what he could do on his own with the time he had, and several experts, including historical professors and archivists, were consulted to ensure accuracy. Of course, whenever you base a fictional story in a historical setting, there is the unavoidable battle between indulging in romanticizing the period and keeping the historical aspects as realistic as possible. Now more than ever, many Americans look to the Founding Fathers with an almost religious zeal that often sees the past through selective lenses, so attempting to deconstruct the myths of that era could prove tricky when gamers experience things about heroes of the past they may not expect — or appreciate. And the opportunities are there in spades. For example, George Washington is remembered as a masterful commander of the Continental Army, inspiring the beleaguered militia to victory over the world’s most powerful military. That is technically true, of course, but a closer look at the history of the period shows that Washington was wracked with self-doubt, and was constantly fending off personal and political attacks from within the American forces. It’s conventions like that, that the Ubisoft team has enjoyed exploiting in every AC game. “I remember a lot on AC2, we went into it, we were set during the Renaissance and there’s all this talk of how it was this time of high art and learning, and education and enlightenment. And the truth is that most of the education that was going on was through books and things that were pillaged from other countries – knowledge that was being, in fact rediscovered after having lain dormant for centuries,” May said. That idea helped breathe life into the previous games by making the societies relatable. While the nature of the world at that time may have been different from ours, the core ideals like love, the desire to improve oneself, and especially revenge, were just as powerful motivators as they are today. Historical figures were not perfect, and through those imperfections we can understand and appreciate them. One of those groups still suffering are Native Americans, something that is depicted in the game. The tribe that Connor comes from is that of the Mohawks. After originally allying themselves with the Dutch settlers in what would become the state of New York, the Mohawks also made peace with the French. 20 years later, the French would turn and attack them, which led the tribe into the arms of the British and an uneasy alliance. More broken promises followed, but ties continued to strengthen between the Mohawks and the British Crown after treaties were signed. That left the Mohawks obligated to fight alongside the British, despite having those same treaties negotiated by many of the colonists they found themselves at war against. After the War ended, the Mohawks were then forced north into Canada and west into the wilderness. “It’s an attempt to provide people with both sides, and then allow players, in this instance Connor the character, to make a decision about what he wants to do with the information he now has,” May said. The new setting will no doubt strike a chord with Americans, especially in this time of heightened nationalism as elections loom, but it is one of many potential locations that could have been selected. One common discussion among fans of the series is where and when would you like to see a game take place. Although May is deeply involved with the development process, he himself is a fan, and mentioned that his personal choices for future locations would be Colonial India, Victorian-era London, and Revolutionary Russia during the early days of the 20th century. Each of these choices is a legitimate potential setting. When the game was first being dreamed up, members of the development team plotted out not just the main points that they wanted to focus on in the games, but their secret history of the world, documenting countless possible encounters in the war between the Assassins and the Templars that quietly determined the course of civilization. Any of these moments could be fodder for future outings. “There’s a fairly considerably sized stack of documents hidden deep within the AC archives, that plots out — very generally — some of the major moments in the war between the Assassins and the Templars. It’s centered around pivotal moments in human history,” May explained. “So what happens is we have what’s basically a cook book, or a bible, that walks us through the sort of high level narrative arc of different time periods, different places, and different assassins. With each new iteration, there’s a moment where we take a look at what’s available to us, and begin discussions on where and when we’re going to go next. While May has spent nearly a decade immersed in the world of gaming, he originally began in film as a producer. After graduating from Harvard in 1999, he co-founded Sekretagent Productions with his writing partner Michael “Dooma” Wendschuh in 2002. After a brief meeting with Ubisoft’s Chief Creative Officer, Serge Hascoët, where they talked about a Rayman Saturday morning cartoon, May was invited to visit the Montreal offices to discuss possible collaborations in the future. May was soon hired to write the script for Prince of Persia: Warrior Within and has been working in games since. That attention to narrative building via multiple means has served May well. Although the games are without question the driving force of the Assassin’s Creed series and all canonical lore of the series has to tie into them, the franchise has begun to seep into other media, and the story has spread across time. One graphic novel features an Iberian assassin in the 3rd century, while another story focuses on an assassin that lived during the height of the Roman Empire. 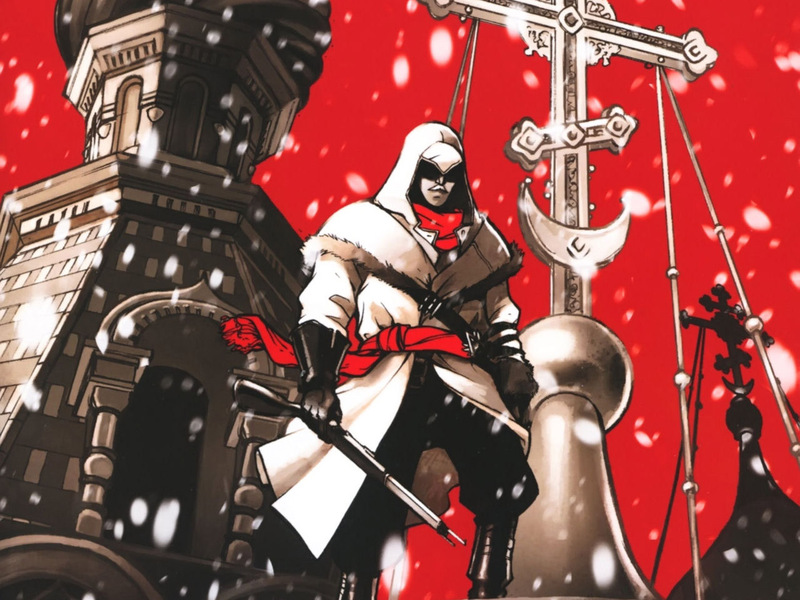 The animated short Embers, which stars an aged Ezio, introduces a Chinese assassin, and May’s hope of a Revolutionary Russian assassin has already been somewhat realized in the comics The Chain and The Fall. The property has spread out from the games, and will soon be translated into a movie as well. 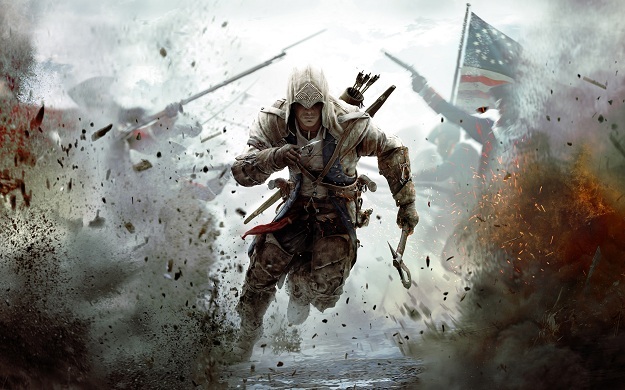 Not satisfied with the Hollywood treatment of its game properties, Ubisoft decided to create its own entertainment division, and its first film project will be Assassin’s Creed. The publisher recently announced a partnership with Regency to help produce and distribute the movie, which will star Michael Fassbender, who will also serve as a producer. Although May was unable to give specifics of the development of the film, he sees the movie as just another medium to convey what is already a strong story with themes that run deep. “The universe that the team has built is so magnificent, so rich, and so vast, that there are, in my mind, endless opportunities to explore really interesting themes and meet really compelling characters and tell really compelling stories,” he stated. Having come from movies, May has an interesting perspective on the nature of the relationship between films and games. May even attempted to adapt a game several years ago after obtaining the film rights to the original Fallout. The story Sekretagent attempted to pitch was exceedingly faithful to the source material. May, being a gamer himself, tried to adapt what made the original property such a memorable success with fans, down to the plot of the game. But again and again he was met with a studio mentality based around the sales figures of the game alone, which doomed the project from the start. That mentality is still very prevalent, even dominant when it comes to film adaptations of games. The few properties that do manage to make it to the screen tend to undergo massive conversion that compromises what made them attractive in the first place. There are a few exceptions, but they are very much in the minority. Still, the future looks bright for Assassin’s Creed. With the movie fast tracked and being developed by Ubisoft itself, there is a great deal of hope that this will be the property that finally breaks the ceiling and allows the flood of quality game related films that could follow, in much the same way that it took a few successful comic book themed films began a rush on comic properties. But even if that isn’t the case, the franchise remains one of the strongest and most successful in all of gaming. Joining Assassin’s Creed III next week on shelves is Assassin’s Creed III: Liberation, a PlayStation Vita exclusive that May also consulted on. 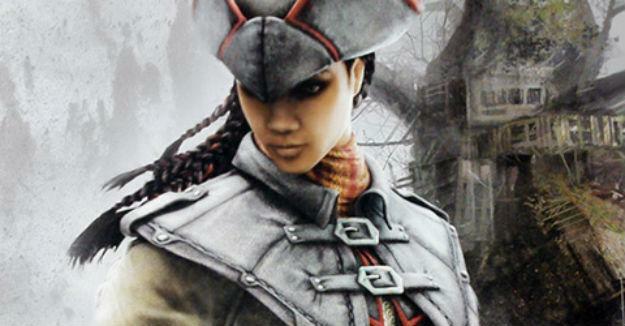 The portable game features the first playable female assassin, Aveline de Grandpré, and takes place in New Orleans between 1765 and 1780. Although the games follow different characters in different locations, there will be some crossover, and Connor is said to make an appearance at some point. While the spotlight is firmly on the two upcoming games at the moment, Ubisoft is certainly already hard at work on the next Assassin’s Creed game. Whether that game is a continuation of Connor’s tale in the same way that Brotherhood and Revelations continued Ezio’s story, or if Ubisoft has a surprise waiting for us, May is certainly deeply involved. Although he isn’t talking. “As of right now, all I know is that we are launching these two awesome games, everyone should preorder them at their retailer of choice,” May said with a laugh. 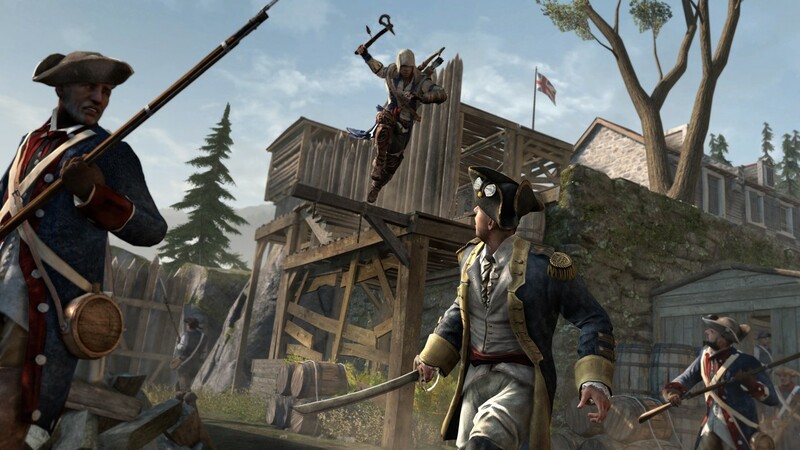 Assassin’s Creed III and Assassin’s Creed III: Liberation will both debut on October 30. How can the EU accuse Microsoft of stifling competition, but Apple gets a pass?